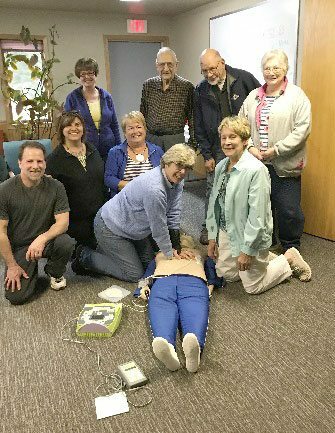 Sandy Bayer recently presented a defibrillator class for members of Grace Lutheran Church in Pembine, Wis., and area residents. In front, from left, are Casey and Michelle Wanek, Sue Wiegand, Karen McCorkle and Judy Wagner; in back are Chris Matsche, Philip Paske, Bob Wagner, and Carol Nushart. Casey and Michelle Wanek now have a defibrillator at the Paris in Pembine restaurant should it be needed. Pembine-Beecher-Dunbar Rescue Squad has had this life-saving equipment placed at area businesses for many years. 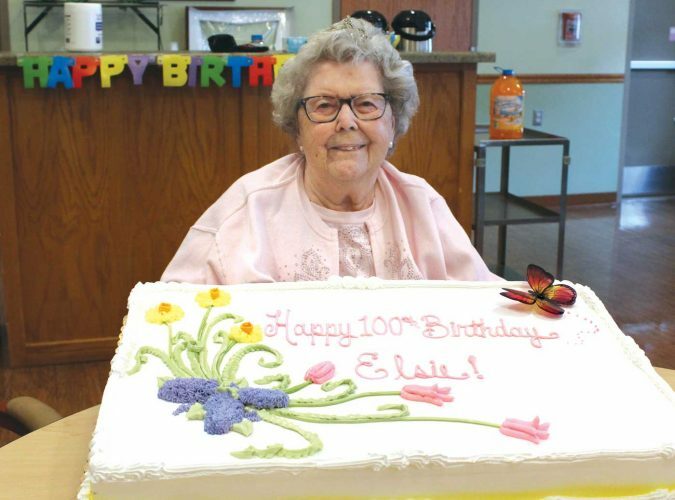 “We encourage people to join in the classes on its use, as you could save a life someday,” Nushart said.